First cut a 6" x 9 1/2" piece of pink card stock and fold it in half for the base, a 4 1/2" x 5 3/4" piece of gray for the middle layer, a 2 1/8" x 5 1/2" piece of light blue for the top half of the front layer, and a 2 1/8" x 5 1/2" piece of Stampin' Up! More Amore Designer Series Paper for the bottom half of the front layer. 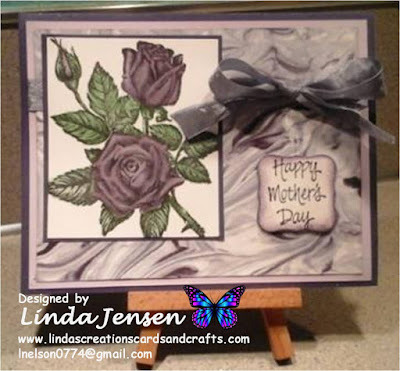 Next attach both halves of the front layer to the middle layer, then attach the Stampin' Up! Primrose Petals ribbon and the large pink Heart from the Designer Series Paper stack and set it aside. Next cut the pinwheel out of the Designer Series Paper with a Stampin' Up! Sizzlits Pinwheel die, assemble it with a small white brad and attach it to Designer Paper heart. Then stamp the larger heart on white card stock in Stampin' Up! 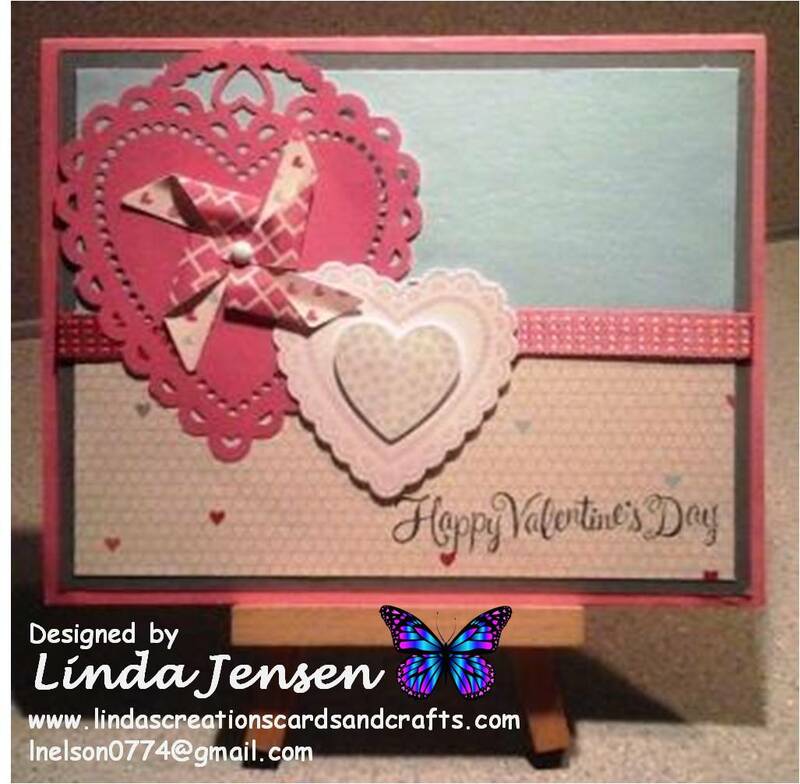 Pink Pirouette ink and the smaller one in Soft Sky ink, cut both out with Hearts a Flutter Framelits dies, attach them to each other with a mini pop dot then to the front layer. Next stamp the sentiment with a misc. happy Valentine's Day stamp in Stampin' Up! Basic Gray ink then attach the middle layer to the base and enjoy!